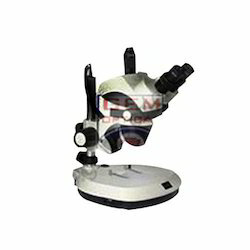 We manufacture and export a variety of Stereo Zoom Microscope, that meet all the varied requirements of the hospital needs. 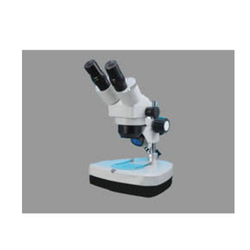 Our range includes Zoom Trinocular Microscope, Stereo Zoom Trinocular Microscope, Zoom Binocular Microscope, Dark Field For Gem Observation, Image Measurement Analysis Software and many more. 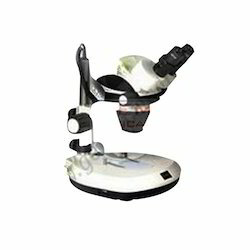 These microscopes are compact and convenient for safe and high performance. 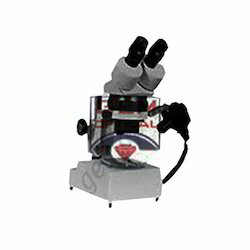 Our equipment is made keeping in mind the international medical standards. The binocular eyepiece tubes is inclined 45°and can be rotated 360°, the asjustment range of initerpupliary clistance:53-75mm, the diopter of eyepiece can be adjusted. 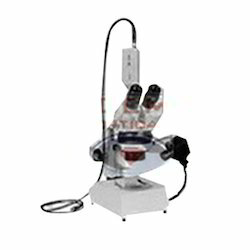 Anti-mildew is installed in binocularto extend the life of instrument. Transformer is out of the base of instrument. Many illumination models can be choosed. The Trinocular eyepiece tubes is inclined 45°and can be rotated 360°, the asjustment range of initerpupliary clistance:53-75mm, the diopter of eyepiece can be adjusted.